the Mr. and i went on a little date last night. i, of course, requested the farmer's market, after finally submitting to 2.5 hours of Inception. (LOVED the movie, in case you were wondering. was wrought with anticipation the entire time). we went with the idea of perusing the veggie stands for dinner inspiration. are you seeing those tomatoes? are you as awestruck as i was by their zebra stripes? 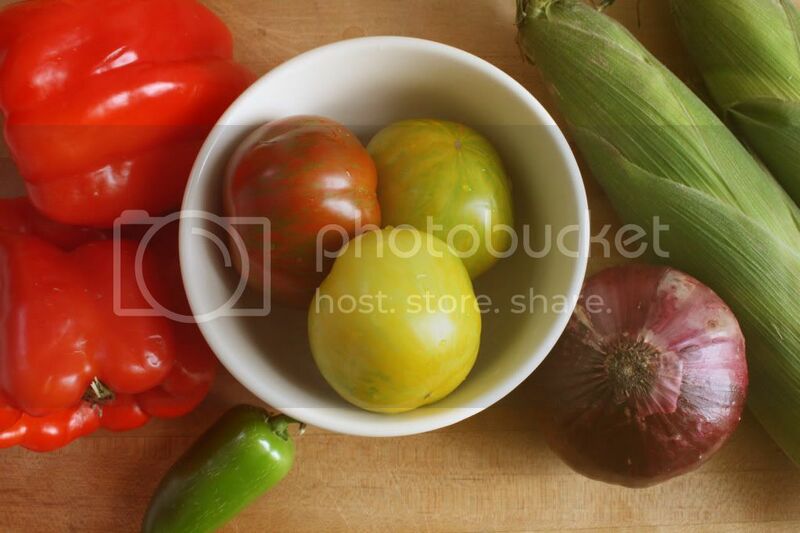 yes, indeed, they are "zebra stripe tomatoes." they're zesty, and delicious, and made my mouth quite happy. 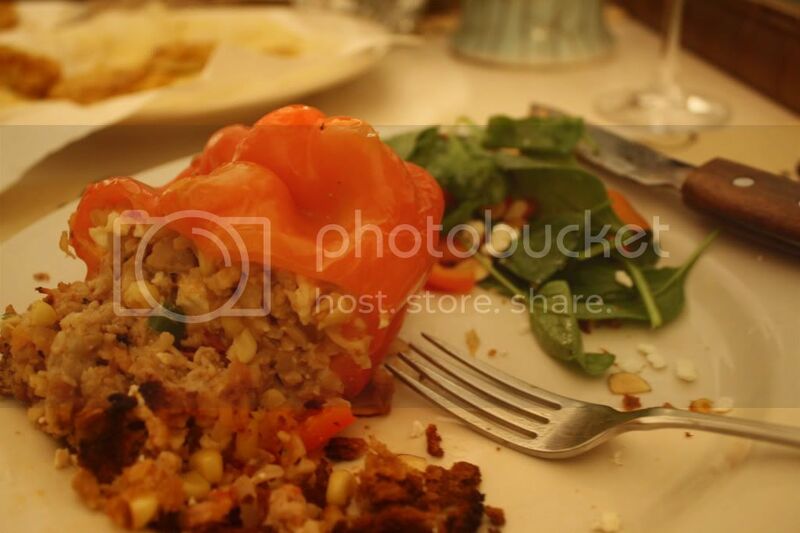 stuffed & roasted red peppers. filled to the brim with chicken, tomatoes, shallots, corn, jalapenos, feta, parmesan. topped with fresh, homemade breadcrumbs. 1. roasting, indeed, makes everything better. 2. the leftover filling makes for a sumptuous breakfast burrito. recipe soon to follow, dear shaders. YUM!!!!!!!!!!!!!!!!!!! do you have the recipe?? that looks soo super tasty it's making my mouth water at 10am! haha. Those tomatoes are amazing too!